I’ve always been fascinated by photos of ice-caves and in March I was lucky enough to visit 2 amazing caves in Iceland. 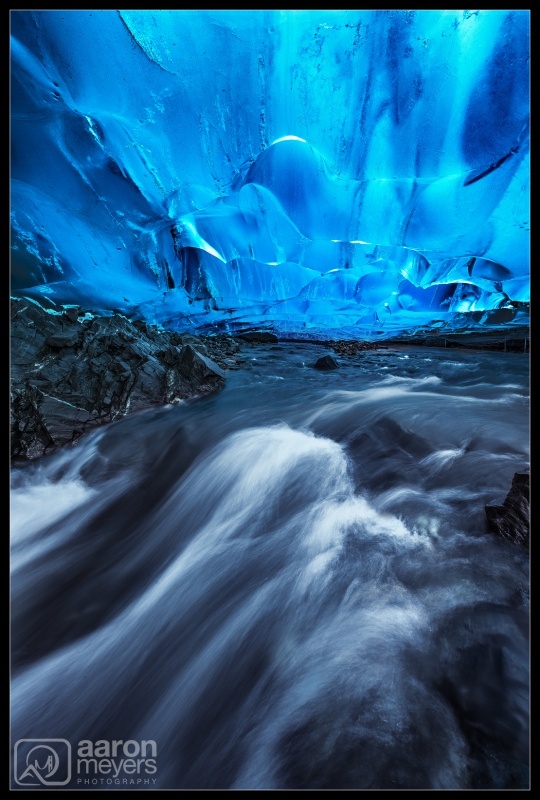 The blue glacial color, the shapes, the water, and the rarity of them make these melting caves a fascinating subject. 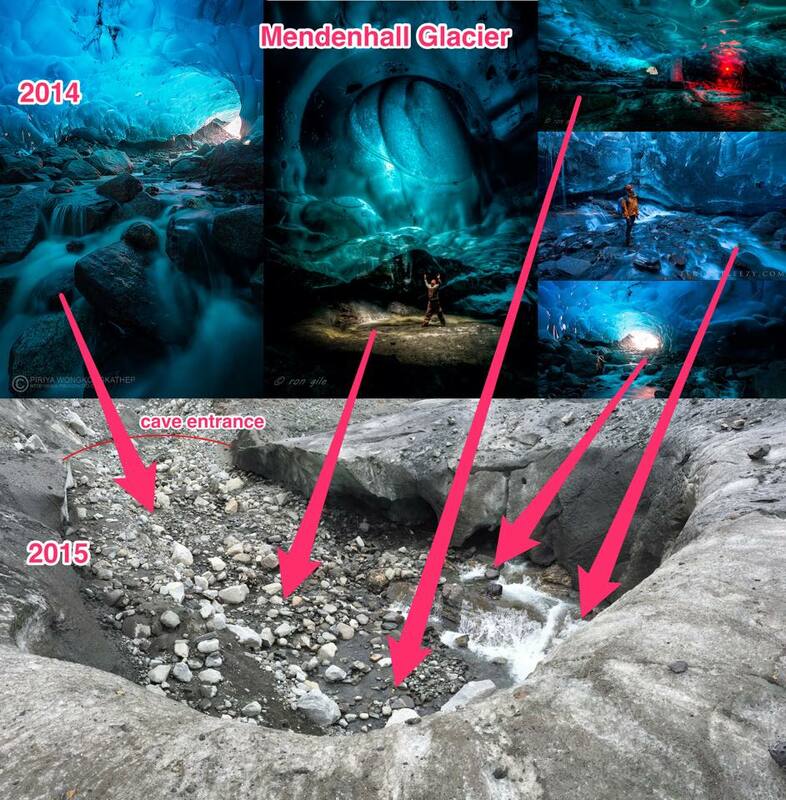 Willie and I wanted to visit more caves and we planned a trip to visit a gorgeous one at Mendenhall Glacier in Juneau Alaska. A friend of ours had visited the Mendenhall Ice-Caves the previous year and returned with some of the most amazing photos I’ve ever seen. We had heard reports that part of the cave had collapsed a few months prior to our visit but we never imagined that the massive cave would be completely melted by the time we arrived. After hiking a few miles through rain-forest and then down and onto the glacier we began our search for the caves. We searched and searched and could not find the cave! 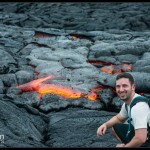 That’s when I noticed a giant open pit that looked sort-of familiar … the entire cave had melted! It was gone! We explored a mile long section of the glacier in search of other caves. We found a few small ones, we found some that would become larger in the coming years, and we stumbled upon some beautiful caverns, but nothing was quite like the cave that had melted just a few months earlier. Not wanting to give up, we walked down towards the edge of the glacier, just about to where the glacier ended and became Lake Mendenhall, and stumbled upon this small cave. It had just enough height clearance that we could pick our way across rocks to get inside and see it’s beautiful shape and flowing water. Worried that the glacial water would cause my tripod to become brittle and break, I quickly snapped a few photos of the cave. Though not the massive cave we had hoped to find, it still turned out to be a great trip!